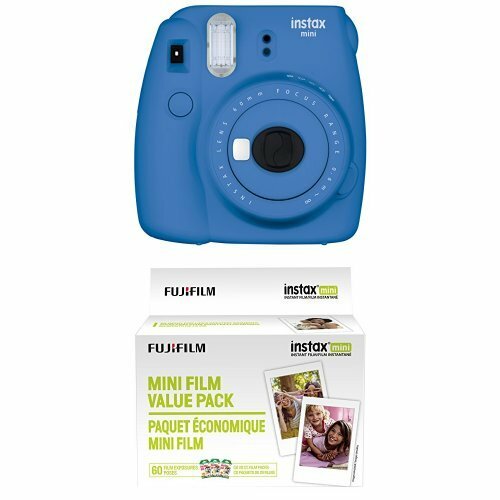 ❤ Fujifilm Instax Mini 9 Camera in ICE BLUE: Perfect instant print camera for anyone from photography beginners to nostalgic pros. ❤ Travel Camera Case + Adjustable Strap: Keep your camera safe everywhere you go with adorable free-open-close case. ❤ 64-Photo Album: Protect your favorite shots from dust, debris, and damage with an album that’s also cute and portable. ❤ Selfie Lens: Capture the perfect selfie each and every time with your convenient close-up lens! ❤ 4 Colored Filters: Adjust the tone, contrast, and brightness with easy-to-use filters. ❤ 10 Hanging Frames: Reusable, brightly colored frames look great hanging on any wall you choose! ❤ 10 Clips + String: Display the hanging frames for parties or personalized home décor in seconds! ❤ 60 Sticker Frames: Make your photos even more fun by adorning them with colorful sticker designs. ❤ 5 Stand-Up Frames: Turn any surface into a photo display with vibrantly colored plastic frames! 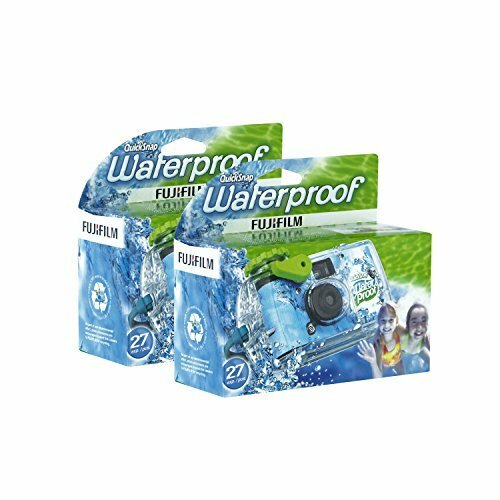 ❤ Microfiber Cleaning Cloth: Keep everything from your lenses to filters shiny and working like new! The perfect gift for your fun-loving friends and family! Watch the fun unfold as soon as they unwrap their new bundle! Make every moment one to remember when you give this as a birthday, holiday, or congratulatory gift. Plus, our 90-day money back guarantee lets you purchase with peace of mind. If it’s not love at first shot, just contact us for a full refund. 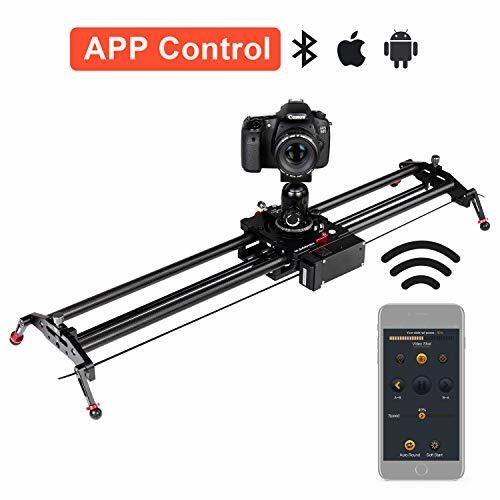 Snap this deal up before it’s too late by adding one to your cart TODAY! 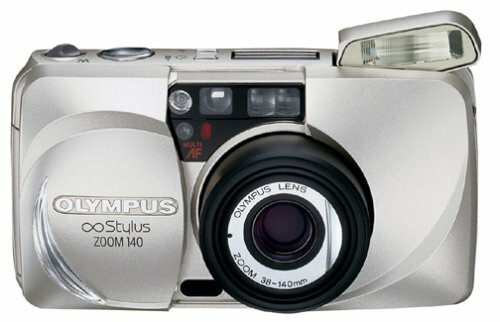 ENJOY YOUR PHOTOS, INSTANTLY – Miss the days when you had to get your pictures developed? Feeling nostalgic about your old Polaroid? Staring at your photos on a screen doesn’t always cut it. 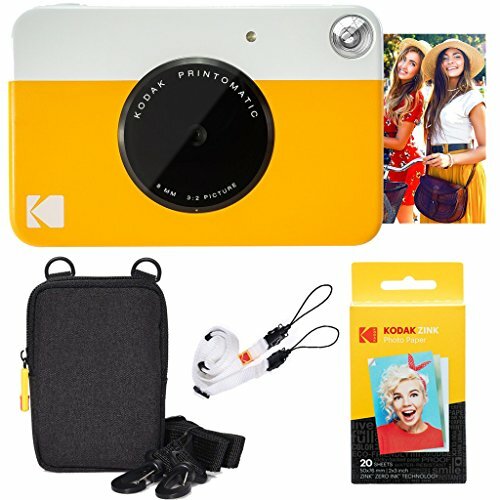 Deals Number One gives you the camera to take the photos, as well as the album, frames, and display options to fill your home with your favorite memories. 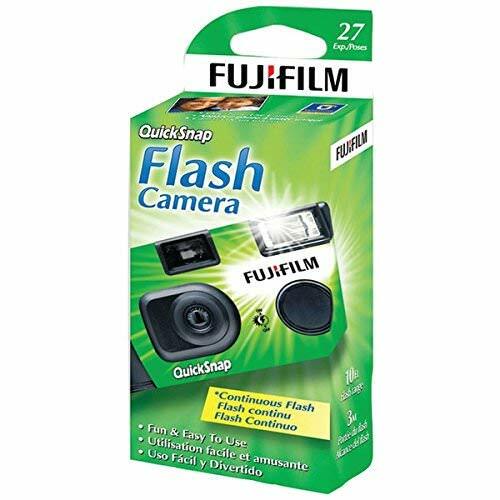 Move over smartphone camera, it’s time to start taking pictures you’ll actually print! JUST ADD THE MOMENT – Don’t let another moment slip away! 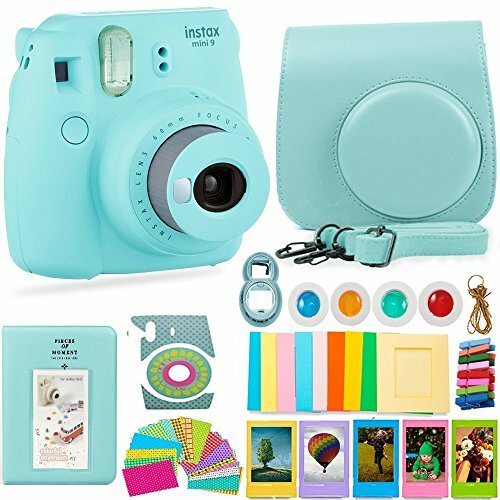 This Fuji Camera and Accessories Bundle is packed to the brim with everything you need to snap and savor each and every memorable minute, including: a Fujifilm Instax Mini 9 Camera, Camera Case with Adjustable Strap, 64-Photo Album, Selfie Lens, 4 Colored Filters, 10 Hanging Frames, 10 Clips and String, 60 Sticker Frames, 5 Plastic Stand-Up Frames, and Microfiber Cleaning Cloth. THE NEWEST MUST-HAVE GIFT – Looking for a gift that’s sure to put a smile on their faces? 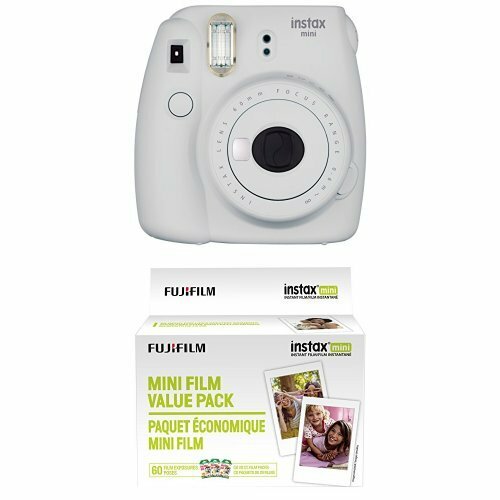 Lucky for you, this FujiFilm Instax Camera and Accessories bundle will do just that. It’s the perfect present for birthdays, Christmas, holidays, and any special occasions that you want to make even more special.